Caodaism can be considered as a religion of Vietnamese people which consists of Buddhism, Christianity, Islam, Taoism and Confucianism. 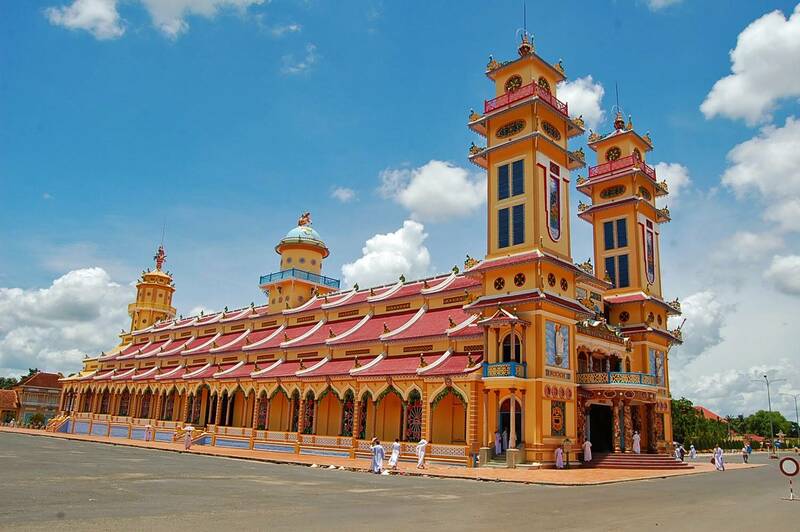 Built in 1955, Ho Chi Minh City’s Cao Dai Temple now is opened for visit. With the design similar to a Christian cathedral, Divine Eye which has Yin and Yang in the pupil, dragons wrapping pillars, Cao Dai Temple indeed is a unique architectural combination. Witnessing praying ceremony is the highlight of your visit to Cao Dai Temple when the followers dress in white, yellow, blue and red long robes. - Worshipping hours: 6:00, 18:00 daily.